This is a compact version of our D.I.Y.  plan, which is door-to-door from your residence in Japan to your overseas destination. You may choose between our three sizes: Minimum / Regular / Extra. 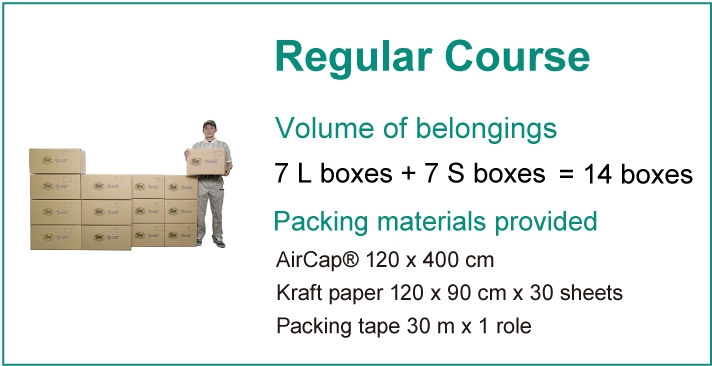 We provide cardboard boxes, packing tapes and other packing materials. *This service is a web-based service, where application, payment, and scheduling the pickup date are all done online. *Please note that as this service is web-based, an administration fee of 5,000 yen will apply should you choose to make your application by phone. *Should our Tanshin Plan not meet your needs (for volume limitation reasons, etc), we suggest you use our Basic Plan. we can send only ONE golf carton to you. We will replace “1 L box & 1 S box” with 1 Golf Carton. * Customers who want to use a golf carton should write “Golf carton requested” in the comment section of the application form. If you would like a designated GOLF CARTON to carry a golf bag, we can send only ONE golf carton to you. We will replace “1 L box & 1 S box” with 1 Golf Carton. cardboard boxes and also to hold together accessories, etc. 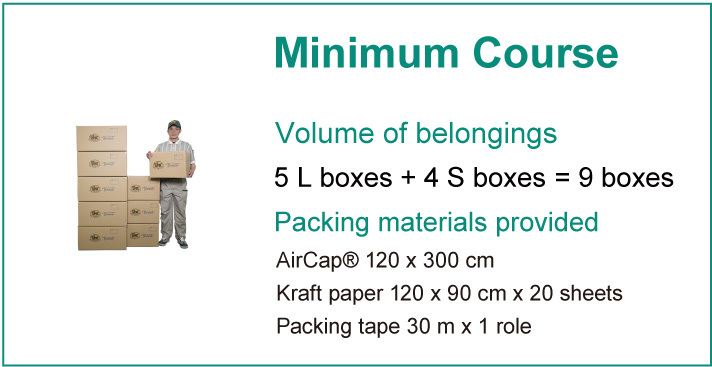 * The weight limit for a single box is 25 kg. * The liability limit for Tanshin Plan is ¥200,000 per box. Tanshin Plan service outline is shown here. For details, please click on each step. Available for areas within a 100 km radius of our branch. Please contact us if you have any questions. UNIT 7, WAVERLEY INDUSTRIAL PARK, HAILSHAM DRIVE,HARROW, MIDDLESEX,HA1 4TR, U.K. Available for Taipei and Taichung. Available for Singapore Island only. Available for Kuala Lumpur only. Available for Penang Island only. Available for Johor Bahru only. Available for Seoul and Pusan only. ・As a shipping condition, you need to obtained visa for staying at the destination. ・When you request a pick up, flight reservation should have been completed (or you already at destination country). Please keep in mind that we cannot accept order if your flight remains undecided. Furthermore, import customs clearance and shipment cannot be carried out unless you have arrived at the destination country. ・Delivery is carried out by our local partners and delivered until the front door of your residence. 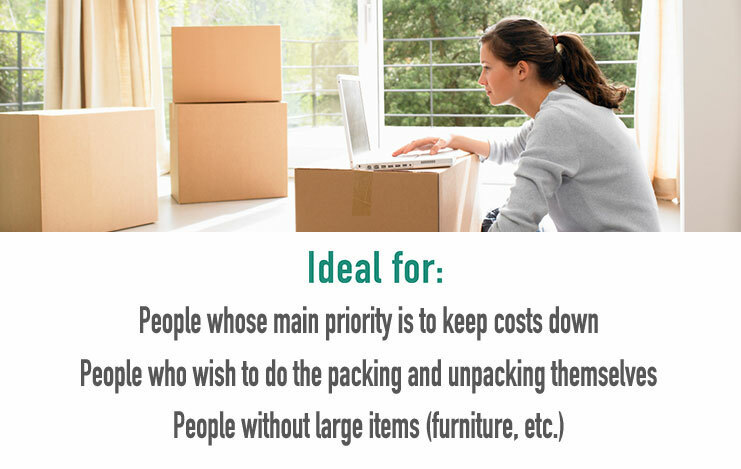 Unpacking services are not included. ・You cannot specify delivery date and time at destination country. Delivery cannot takes place on weekends or holidays. ・If import custom duties or taxes occurred, we kindly ask customer to pay on cash payment. ・The insurance coverage fee for Tanshin Plan is JPY 200.000 per box. 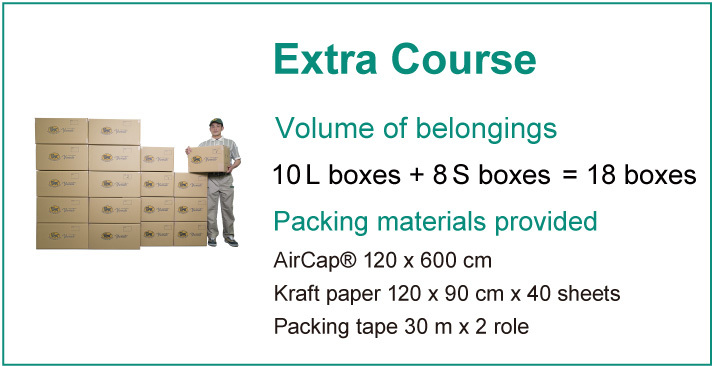 We cannot ship the box if the amount declared exceeded JPY 200.000 per box. There may be cases where we ask customer to handle repair and replacement of lost or destroyed package themselves. We do not provide shipping fee refunds or other compensation in cases of delivery delays. ・Delivery may be delayed should packages are subject to customs inspection. * We do not accept returns of the delivered cardboard boxes. * Information regarding refund methods and other procedures will be notified when you contact us. * For cancellation, please notify through phone or email. If you applied for Regular Course to then downgrade it to Minimum Course, the amount billed is JPY 78.240. Please apply for downgrade through Phone or Email. You can request course upgrade through the link indicated in the email sent after application [additional materials will be delivered accordingly]. There is no administration fee, only need to pay the post-change course fee.